Last we heard from Edward Snowden, the former intelligence worker behind the recent wave of NSA leaks, he was eating room service and watching cable news in a posh Hong Kong hotel. (Update: He checked out of the Mira Hotel on Monday.) When he left his girlfriend and job in Hawaii as the leaks started, Snowden picked the partially independent Chinese territory for its “spirited commitment to free speech and the right of political dissent,” he told the Guardian, with hopes of eventually seeking asylum “in a country with shared values,” like Iceland. But making it to that point is far from a sure bet. 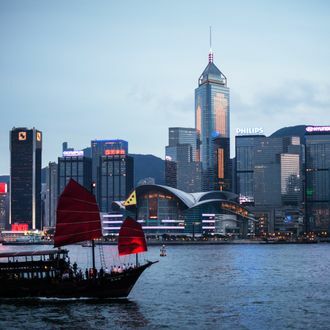 Based on the current extradition treaty between the U.S. and Hong Kong, both sides can refuse for political reasons, although there is no recent precedent for doing so. And even if Hong Kong decided not to hand over Snowden, should the U.S. come calling, Beijing retains veto power for cases in which “defense, foreign affairs or essential public interest or policy” are at risk. The good money is on China trying to avoid a diplomatic crises. One has to imagine the U.S. government is already assessing its options, as well.